On 18.12.2017, following the proposal of 28 MPs, the ruling majority of the National Assembly appointed a new Temporary General Prosecutor whose mandate is indefinite . The appointment was approved by 69 votes in favor, out of 140 members of the Assembly. This is clearly contrary to the Constitution and to international standards. However, even Article 109 of the new Law on the Prosecution was implemented only partially by the majority. According to this provision, to be appointed as a Temporary General Prosecutor, the candidate must have had successfully passed the vetting process . As a consequence, the first important finding is that the Assembly elected the new Temporary General Prosecutor without being subjected in advance to the vetting process. The second important finding, is that the decision for the appointment of the General Prosecutor (whether temporary or not), can’t be approved by a simple parliamentary majority, as the Constitution enforces a mandatory qualified majority vote. As article 109 of the Law on the Prosecution doesn’t detail the majority level upon which the appointment shall be approved, it is solely the Constitution that should be applied as a consequence  in terms of the majority level necessary to elect an official exercising constitutional powers such as the Attorney General (let it be to exercise this powers for a single day, or for an unlimited term). A qualified majority is foreseen to guarantee the independence of the prosecution body, due to the important functions exercised by this body, and not due to the duration of the head of the body. With the very precious assistance of the Venice Commission, the constitutional transitional provisions adopted in July 2016 state that : “The General Prosecutor’s election, until 1 September 2017, is accomplished by 2/3 of the votes, and after that date with 3/5 of the votes of the members of the Assembly ” (article 179, item 13). This constitutional provision was included as a result of the specific recommendation  provided expressly by the Venice Commission in CDL (2016)002 “Final Opinion on the revised Albanian Constitutional Amendments to the Judiciary (dated January 15, 2016)”, highlighting the need to elect the Prosecutor General through a larger majority than what the ruling parliamentary group possessed. 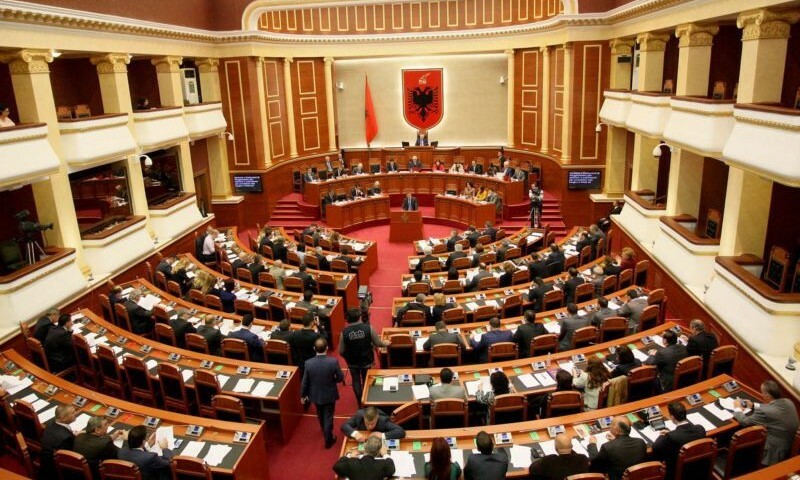 This recommendation of the Venice Commission, albeit part of the Constitution, was not respected by Prime Minister Rama, which destroyed in return the consensus surrounding the adoption of the constitutional changes. The Voting of the Temporary General Prosecutor by a simple majority is also against broadly accepted European standards .The Venice Commission has set several international standards with the objective to eliminate the possibility of the politicization of the prosecution body. Specifically, the CDL-AD (2010)040 “Report on European Standards as regards the Independence of the Judicial System: Part II – The Prosecution Service”, recognizes only two models of how the independence of the prosecution body can be achieved: (i) The interaction between two different constitutional bodies (President – Assembly)  ; or (ii) qualified majority vote in the Assembly and the involvement of independent bodies in the assessment of the best candidates . The question arising in this case is why these European standards are not implemented by the Government of a country aspiring to become part of the European Union and awaiting for the negotiations to be opened?! The election of the Temporary General Prosecutor , contrary to the Constitution, by only one political party in the Assembly, without any co-operation with other constitutional institutions (such as with the President of the Republic, as it was before constitutional changes), or with other political groups within the Assembly (through a qualified majority of 3/5, as the Constitution envisages currently), not only contradicts the Constitution and international standards, but it’s without any doubt a huge retreat in the efforts to guarantee the independence of the prosecution body and eliminate the culture of impunity. This is the first time since the entry into force of the 1998 Constitution, that the General Prosecutor is elected following a unilateral procedure, with a candidate representing only one political party in the Assembly. This implies the full politicization of the prosecution body and defacto the appointment of the prime minister as chief prosecutor. 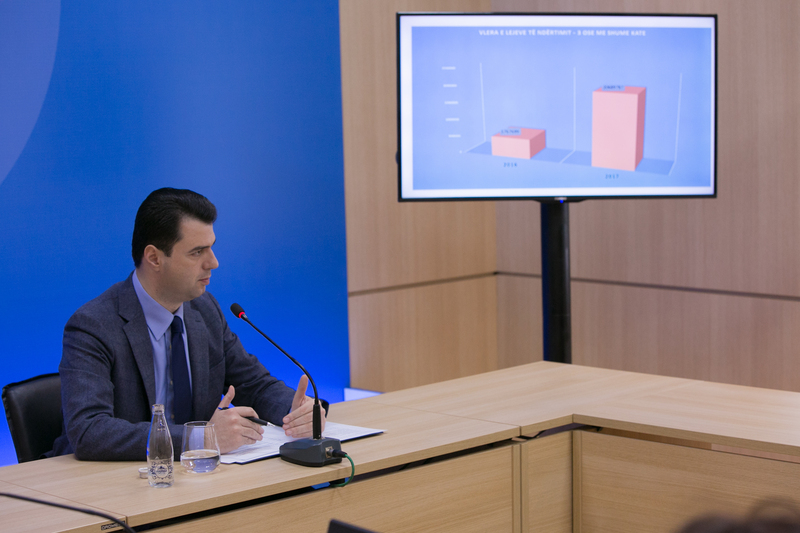 The Government effort to put under its full political control the prosecutor’s office, even temporarily, coinciding with the numerous investigations by the prosecution of senior officials of this majority, is without any doubt the greatest threat to the rule of law in Albania, the end of democracy in the country and the destruction since its early beginnings, of a two-year effort to Reform the Albanian Justice system. The Temporary General Prosecutor has the power to suspend prosecutors; transfer them from one position to another; appoint or promote a prosecutor; inspect the work of prosecutors and to take disciplinary measures; assess the prosecutors’ professionalism in the framework of the vetting process; enforce bans for senior officials in the context of the decriminalization process (several majority MPs and Mayors are being investigated in this regard); ordering preventive wiretapping; issuing binding instructions for all prosecutors; calling the general meeting of prosecutors in order to elect the 6 members of the High Council of Prosecution; reviewing requests for extradition and legal aid to the criminal justice system with foreign judicial authorities, etc. In fact, Article 109 of the Law no. 97/2017 on the organization and functioning of the prosecutor’s office, used as a “justification” by the ruling majority for the implementation of the chosen nomination procedure, regulates the process how to proceed when the General Prosecutor’s mandate may terminate before its official ending as a result of the vetting process, and that the HCP would have not been created yet (taking also into account the fact that the Constitution provided for a 8 months deadline for the establishment of the HCP). Specifically, Article 22 of the Law (included in Chapter IV, Section I, referred to in Article 109) provides inter alia that: “2.In terms of their moral and professional integrity, the candidates must meet the following conditions: a) Successfully complete the verification of their assets and personal background, according to the law”. In this case, it relates to law no. 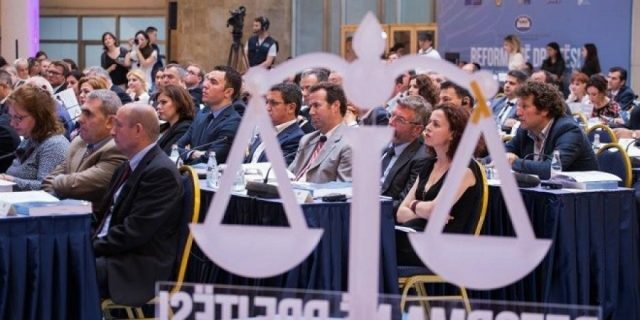 84/2016 “On the Provisional Reassessment of Judges and Prosecutors in the Republic of Albania”.  CDL-AD (2010)040: “35. 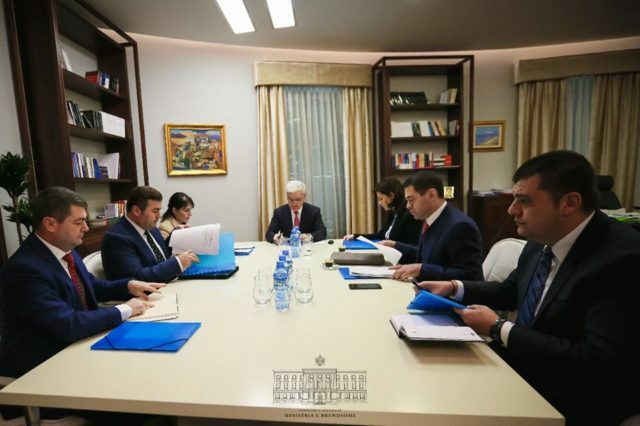 No single, categorical principle can be formulated as to who – the president or Parliament – should appoint the Prosecutor General in a situation when he is not subordinated to the Government. The matter is variously resolved in different countries. Acceptance of the principle of cooperation amongst state organs seems a good solution as it makes it possible to avoid unilateral political nominations. In such cases, a consensus should be reached.”.